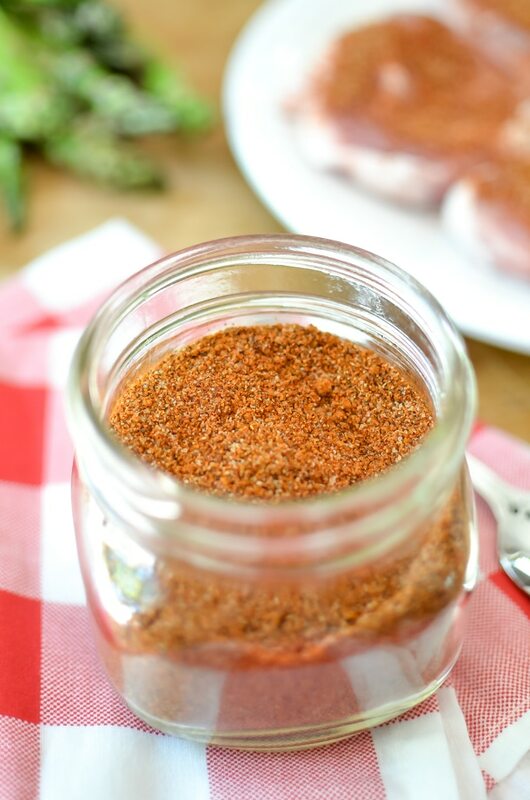 This easy bbq dry rub is versatile, simple and so flavorful. 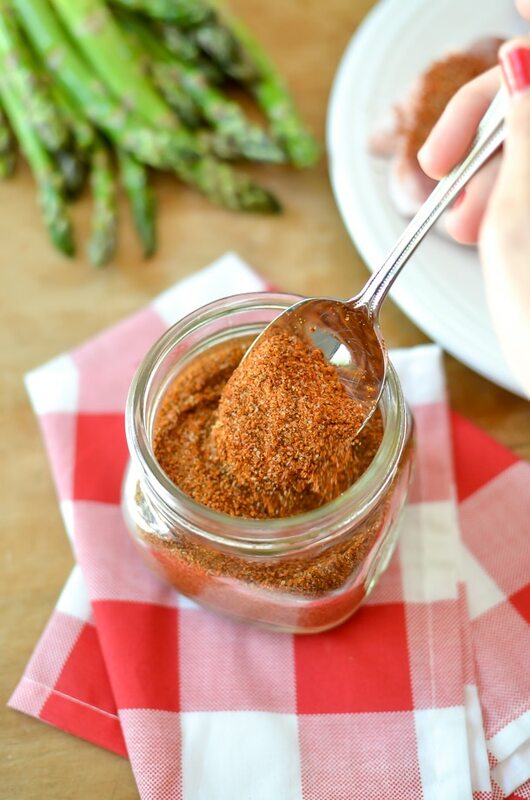 It takes just a few minutes to make, and you can use it to add incredible flavor to all of your favorite grilled recipes. 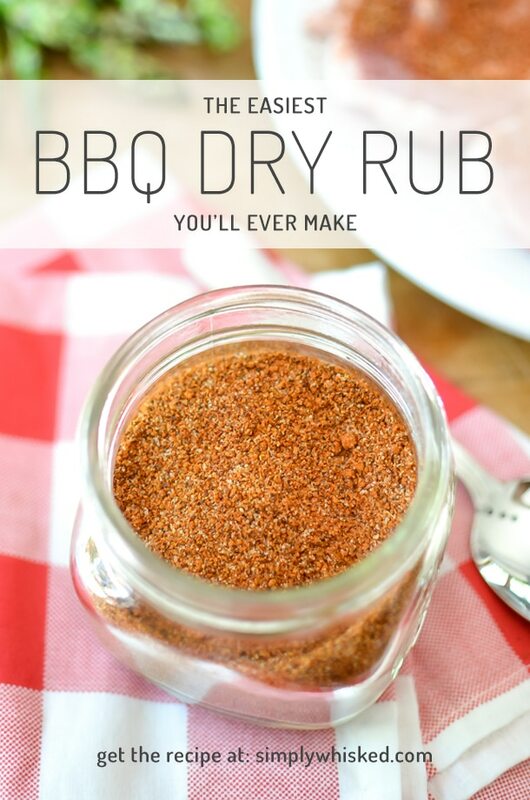 I love a good bbq dry rub. I am fully convinced that you don’t really need barbecue if you cook your meat properly, and use the right seasoning. I’ve tried out countless blends – both store bought and homemade. They’ve all be pretty good, each with its on positive flavors, but this one tops my list of favorites. 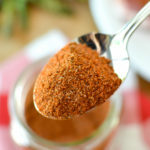 Since I limited the ingredients in this easy BBQ dry rub, you can make up a batch just before a meal without feel like you’re wasting too much time. I made it for the first time over Memorial day weekend, and I used it in my very first and semi-failed attempt to at making brisket (more on that another time, but I promise it wasn’t the rub). 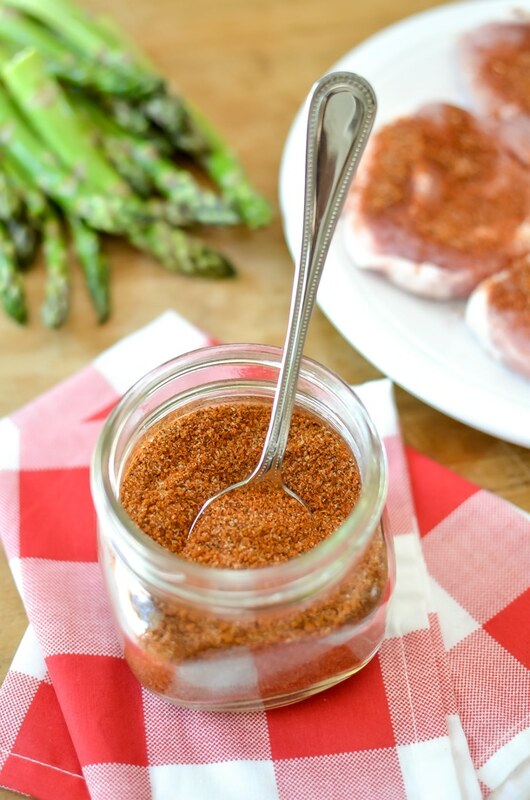 The flavor of this BBQ dry rub was so good that I’ve since tried it on pork chops and ribs. After my second time making it, I decided it would save me quite a bit of time if I double (or tripled) the recipe. So that’s exactly what I did. This recipe makes just over 3/4 cup, which is enough for about 3 or 4 normal-sized recipes. It got be through 3 racks of ribs and pork chops for four people, but you could even double this amount if you want. It should keep for up to 6 months in an airtight container. FYI. That 6 month thing is the general rule of thumb for all spices, but we normally just keep ours until they lose flavor or they run out. You be the judge and decide what’s best for you. Place all ingredients in a bowl. 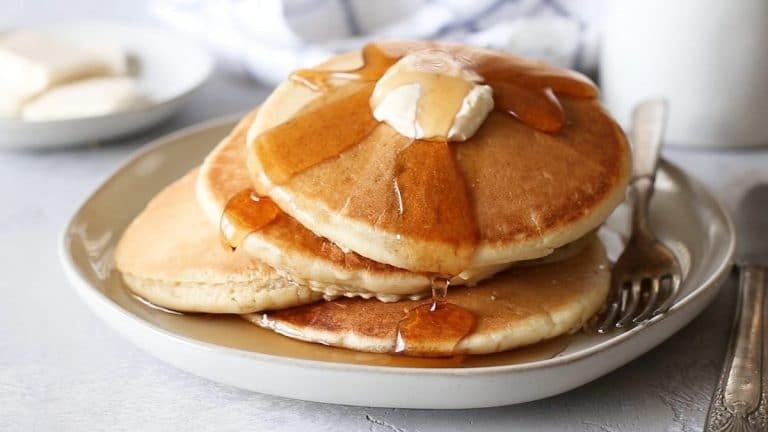 Whisk together until evenly combined. Store in an air tight container for up to 6 months.